If Dr William Sia, whose birthday was 2 March 1916, is still alive today, he should be a centenarian. Lived only with a short life-span, though, he was 55-years-old when he died in a car accident during a medical service trip on 17 June 1970, his spirit of devotional sacrifice – “Rather be a fool”- is still compellingly felt and deeply appreciated by many Taiwanese people today. In Dr William Sia’s early medical practice, he voluntarily served those patients with lung diseases in those far-away rural villages in Taichung and Nan-tou areas; he also served those poor patients with polio and black foot disease among the coast areas in Changhua and Tainan. In 1955, Dr. Sia inaugurated as an Adjunct Superintendent of Puli Christian Hospital; in 1956, he established the first psychiatric center for lung disease patients in Puli; in 1960, he became the first Christian doctor to operate for black foot disease patients in Tainan; in 1964, he established Er-lin Christian Hospital which was the first hospital independently run by Taiwanese. 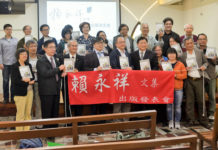 To commemorate Dr. William Sia’s centenary birthday and his contribution to Taiwan, both a press conference and a premiere of Dr. Sia’s DVD animation picture was held at Tsai Ray-yueh Foundation of Culture in Taipei on April 14. 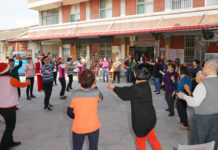 This was an activity jointly held by many institutes, including Changhua Christian Hospital, Er-lin Christian Hospital, Puli Christian Hospital, Nan-tou District of Taichung Presbytery, Nan-tou Presbyterian Church, YMCA of Changhua County, Youth and Pine Life Ministry Committee of PCT and William Sia Memorial Youth Camp. Pledging to carry on Dr William Sia’s spirit of medical missionary into those far-away rural villages, many invited guests, including Rev. Sudu Tada(PCT Moderator of General Assembly), Rev. Chen Hsin-liang(Chairman of Changhua Christian Hospital), Dr Kuo So-ren(Superintendent of Changhua Christian Hospital), Dr Chen Yong-hsin(Chairman of Taiwan Peoples News), Dr Chen Hen-chang(Superintendent of Puli Christian Hospital) and the families of Dr William Sia, stood by Dr Yang Chong-ing after a minimized model of Dr William Sia’s childhood playing-ground among house stairs blossomed with heart-shaped cards of virtues. Also in the press conference on April 14 , the William Sia Social Service and Care Association, established on 18 March 2016, was officially launched into operation with a purpose to serve the marginalized in Changhua County and the neighboring areas. Pledging to carry on Dr William Sia’s spirit of medical missionary into those far-away rural villages, many invited guests stood by Dr Yang Chong-ing(widow of Dr William Sia stood at the center in white sweater) after a minimized model of Dr William Sia’s childhood playing-ground among house stairs blossomed with heart-shaped cards of virtues, on an press conference and premiere of Dr William Sia’s animation DVD at Taipei on 14 April 2016.